I couldn't escape the "word of the year" trend this year. 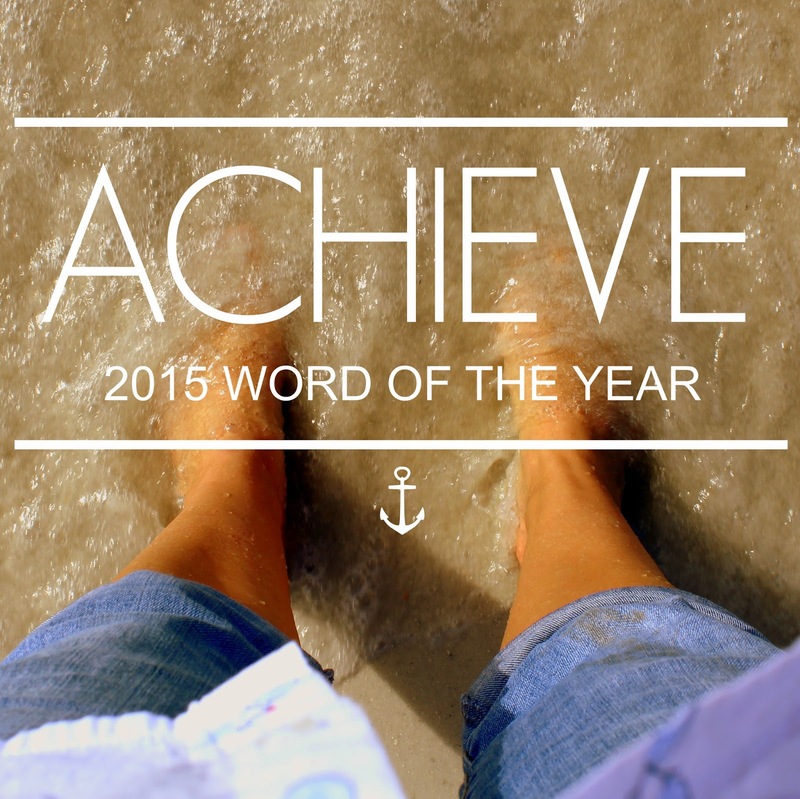 My word this year is "achieve" which seems really unfun and blah compared to words like "love" and "family". But, to me, it's important and by putting it out there and explaining it I know I'll hold myself more accountable to it. Achieve means ... accomplishing my three biggest, albeit boringest, goals for the upcoming year. Grow Because I'm Me to a much more serious business with a brand new website, independent shop, and IRL sales (booths at shows and space in brick-and-mortar shops). I've been blessed to be able to keep Because I'm Me at a size that was comfy-small but in the next few years my financial needs are going to change drastically and I need to prepare for that. The changes are exciting - lots of learning and growing going on behind-the-scenes right now - but also a little scary - a bit of wondering if I can make this happen. But the word is achieve and I am committed to doing everything I can. Lose weight and exercise regularly ... a very realistic goal has been set and I've given myself a year to reach it. This is an area I've really struggled with. I know part of it is time and energy, but it's more just an acceptance that I'll fail because I've failed before. This year, however, I will achieve that goal; this is my year to do so. Get the family finances back in order, this winter I've had a few major expenses that have done some serious damage to my second car / paint the house / emergency fund and it's time to regroup and get it all back in order. Plus, I have another bill that must be paid and lately we've been running into months with more month than money. This one I have every confidence we'll achieve with some serious self and family discipline. So there you go, the goal is to reach the goals I've set for myself, to achieve success with each of the three of them. Not exciting goals this year, but I see such exciting possibilities when they're reached! Last year I didn't do the word thing, but did share some goals ... lose weight (failed, badly, which won't be happening again this year), taking more time for myself (I don't think so, though we did do some awesome stuff as a family), and going on at least one date (succeeded, more than one actually). Most of the kids are with their father right now so we'll celebrate New Year's when they get home. We'll open the envelope we sealed last January with our goals for 2014. I can't wait to see how we did on them --- but I'm going to go ahead and admit that putting them in a sealed envelope might not have been the greatest idea, no one is altogether sure what their goals were. My wish for you in 2015 is simple: On the last day of 2015 I hope you will be able to look back and know you had the best year possible. That, most certainly, is my biggest goal this year and every year.